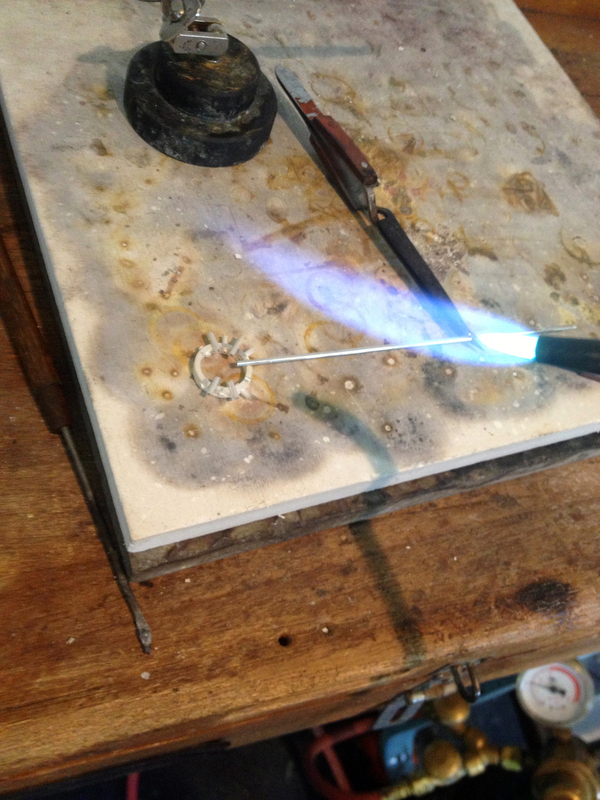 I just caught up with one of our students, Lauren Neumann who was commissioned by a friend to make his engagement ring (don’t worry everyone, I’m posting this post-proposal). Lauren’s taken a few classes with us over the last year. She made this piece during open bench hours and it was so fun helping her & watching it come together. 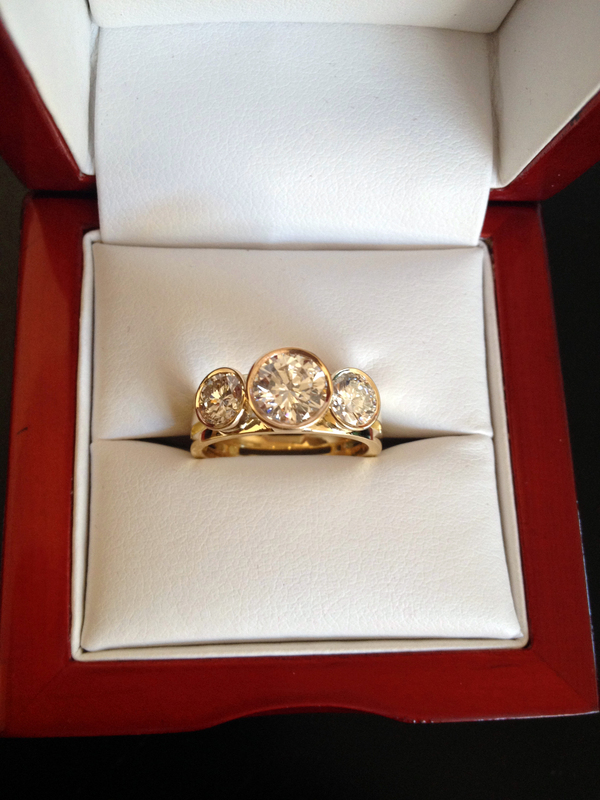 Take a look at how she created this beautiful and special piece…. 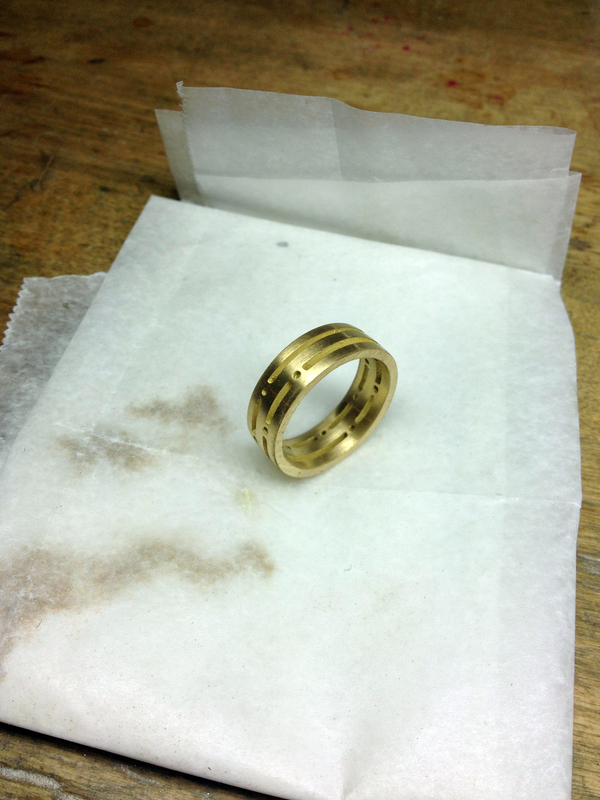 After her model was finished – she brought it to a caster to get a mold made and and to be cast to 18k yellow gold. 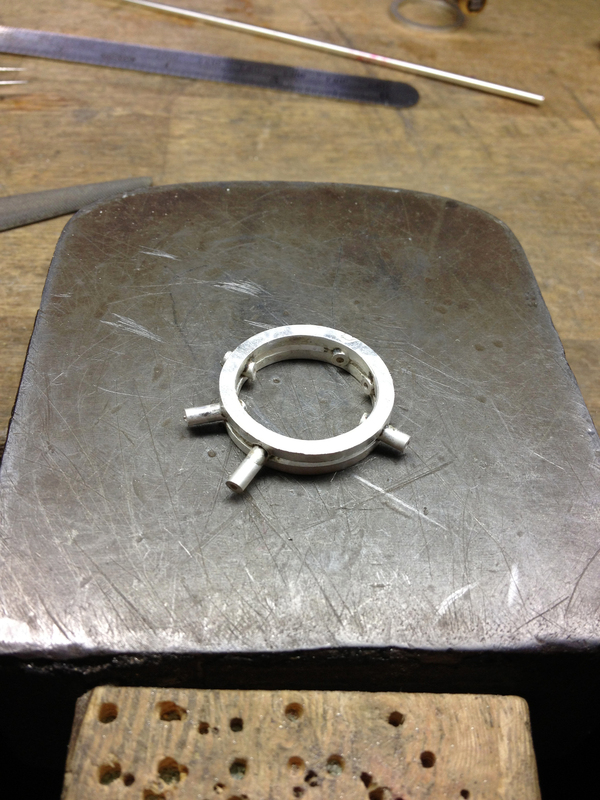 Her settings were soldered on after the casting came back. 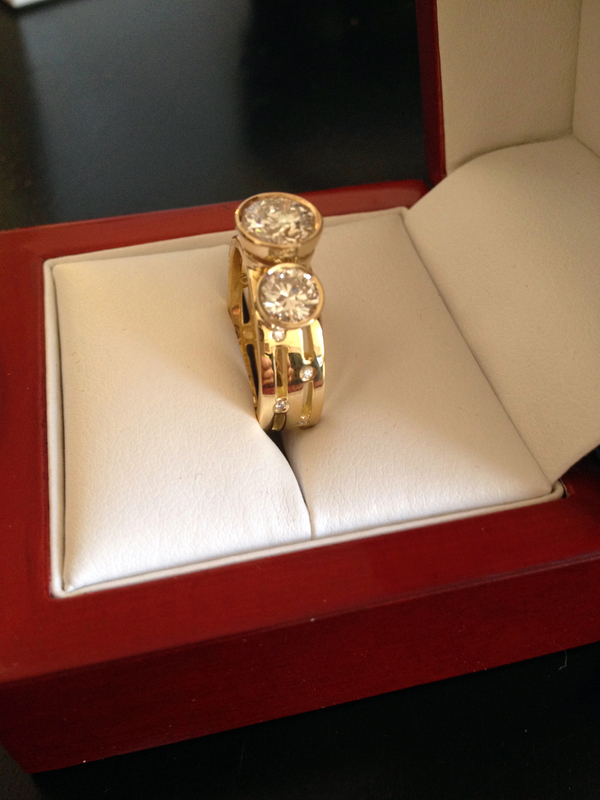 She brought the ring to a professional stone setter, and he set all of the diamonds. 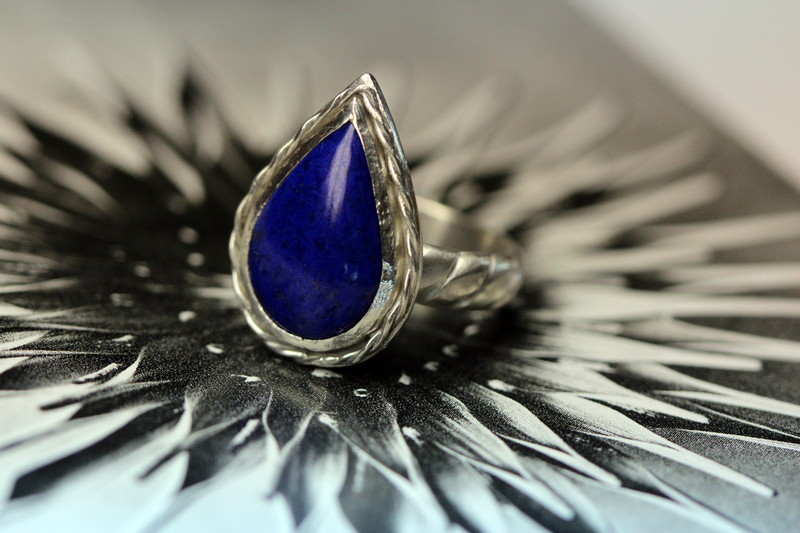 Liloveve: What was your inspiration behind this piece? Lauren: I knew she liked a mix of modern and antique looking type pieces so I researched those type of designs and visited on of her favorite websites and drew inspiration from that and then came up with 12 -15 designs for (my friend) to choose from. LV: If you could travel anywhere, where would you go? LN: My next place of travel outside the USA would be Greece! I adore Italy so I would love to visit there again. Also Turkey, Tulum in Mexico, Monaco, Paris, all of France … So many places! I love to travel. I always thought Anthony Bourdain had the most amazing job! 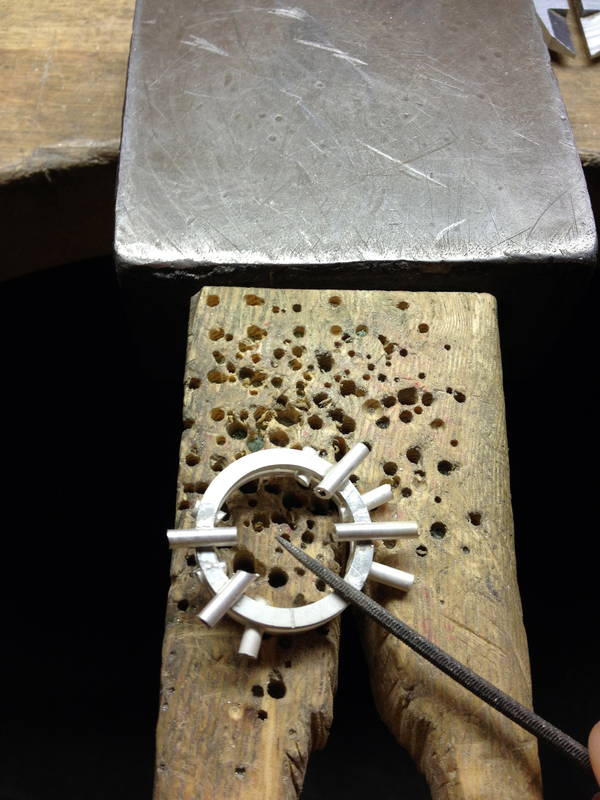 LV: What’s the most fun aspect of jewelry design? LN: Knowing that everything you design and create is your own. I was a handbag designer for 3 years in the corporate world. And honestly I was so disheartened learning how the majority of the design world works these days. 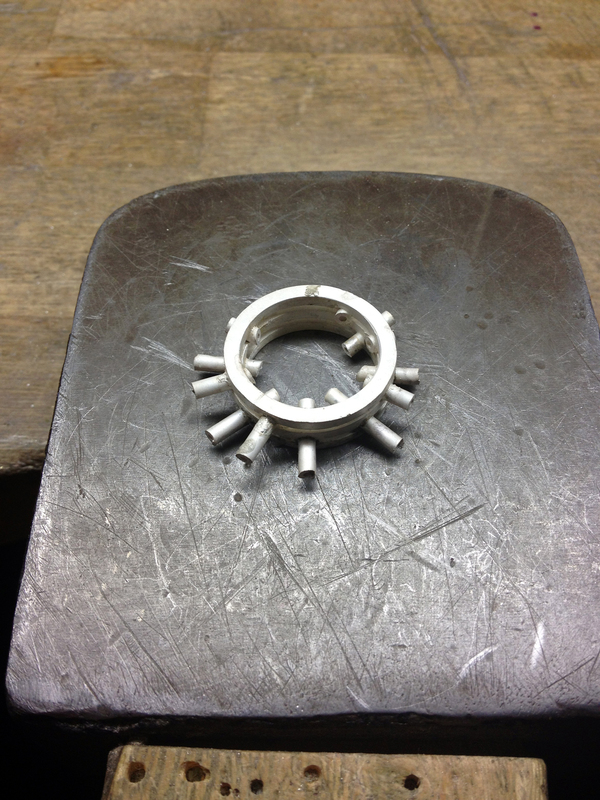 Its all knock-offs … or a version of someone else’s design. Granted I would design something but I would use a silhouette from another bag and then email my specs of to our factory in China and they made it. There was always a void in that whole process for me. I never felt like it was truly my design. 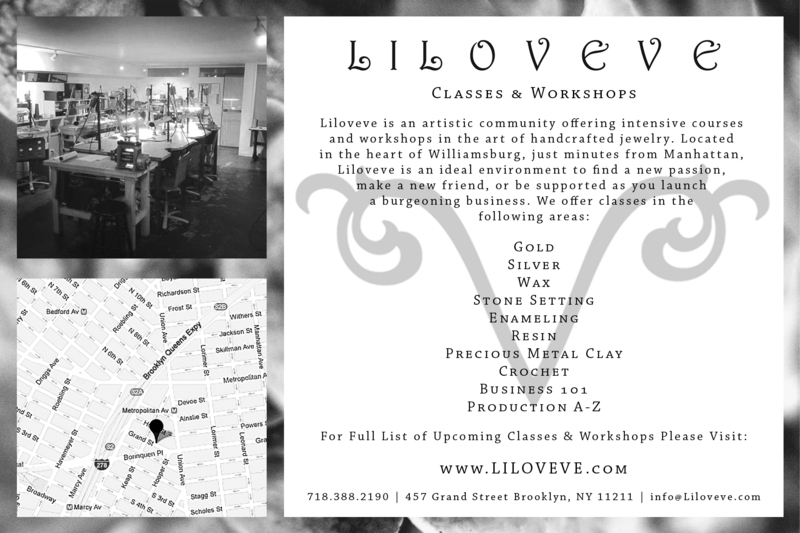 LV: What classes have you taken at Liloveve? LV: What was the most challenging part of this process? LN: The engineering aspect of it all. 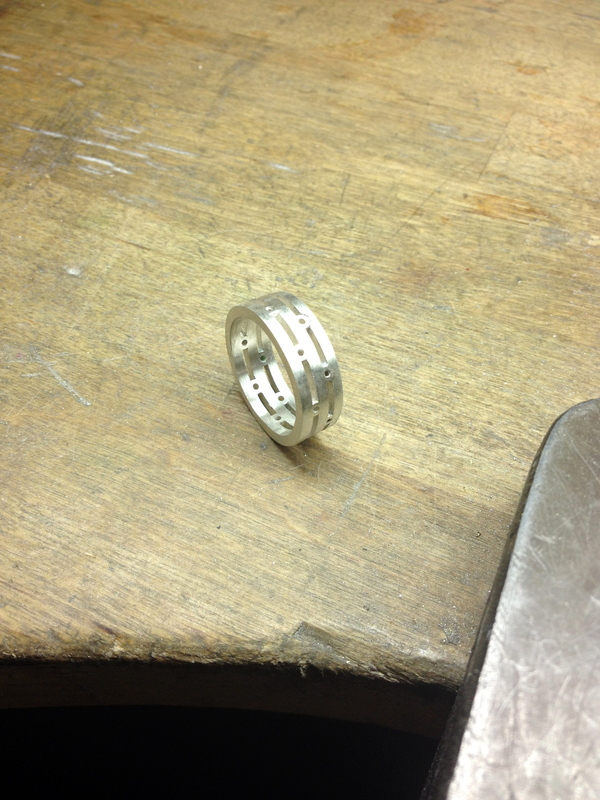 Figuring out how to go about building the ring and piecing it together. Luckily I had help from 3 very kind women (Caroline, Carolyn, and Emilie) who are seasoned veterans to help guide me throughout the process. LV: What was the most fun part of this process? 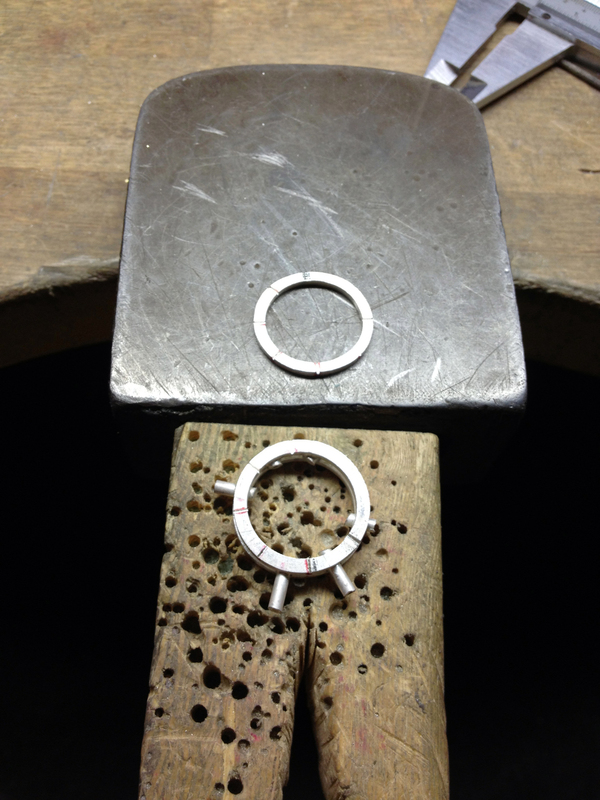 LN: After I got over the hump of making the 3 rings from scratch and getting them all perfect it became fun because I could see the light at the end of the tunnel so to speak. 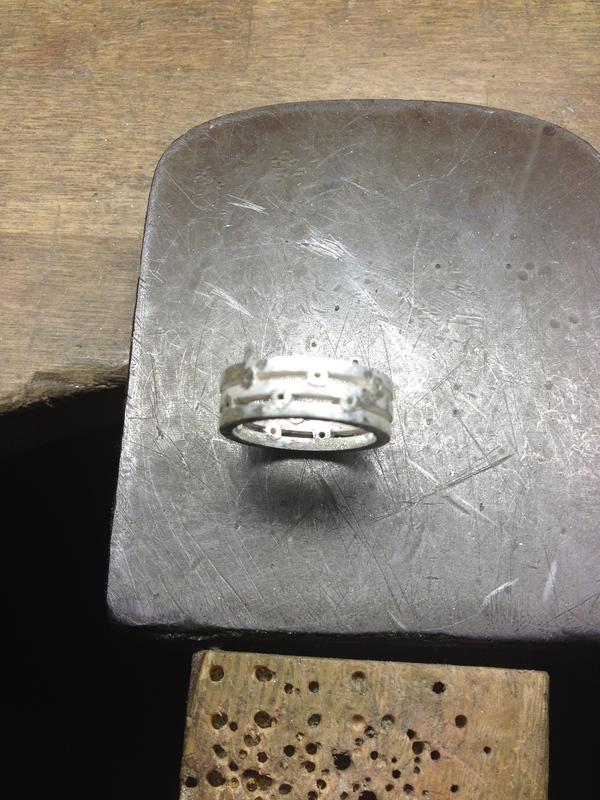 I knew if I had accomplished that feat that the rest of the ring was going to come together and everything from the point on was stress free and fun!! 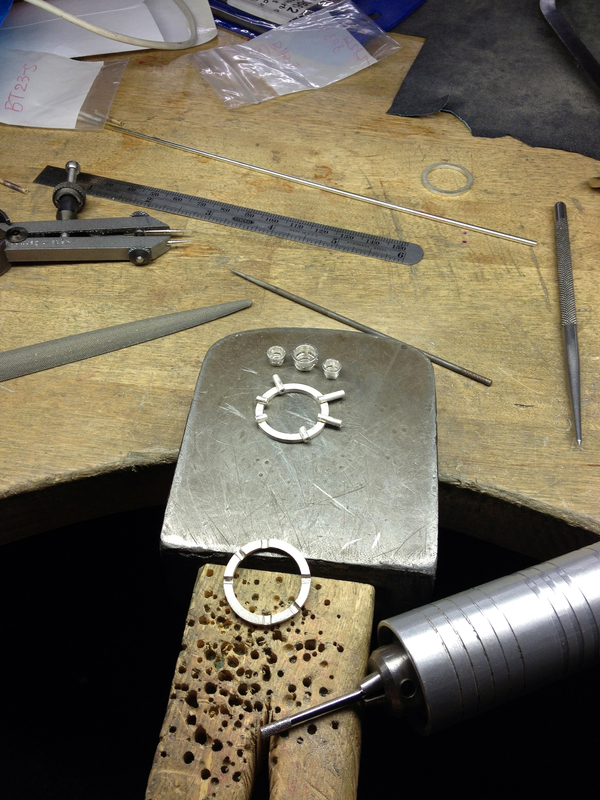 This entry was posted in Catching Up With The Liloveve Community, Emilie and tagged engagement, fine jewelry, jewelry, jewelry design, Lauren Neumann, Liloveve, student work, studio, studio process, wedding on May 4, 2013 by LILOVEVE Studio & Gallery. 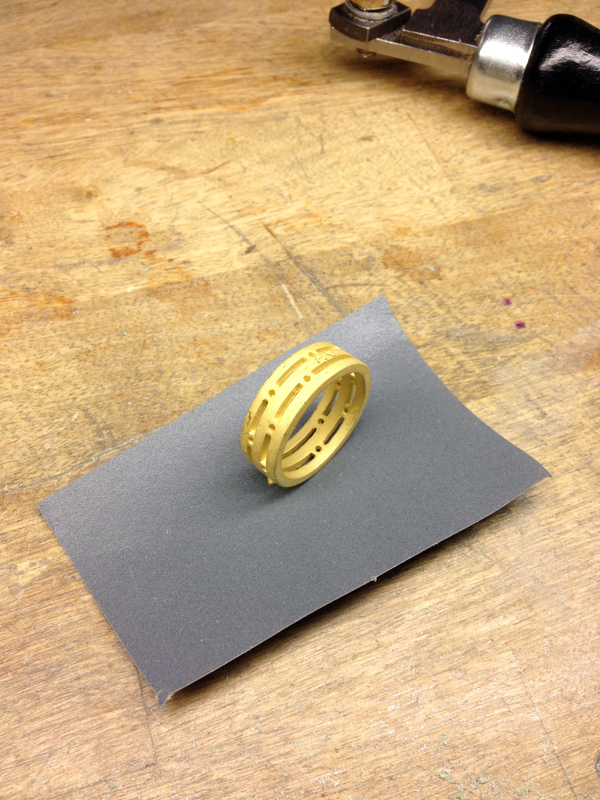 The work from our students always blows me away! 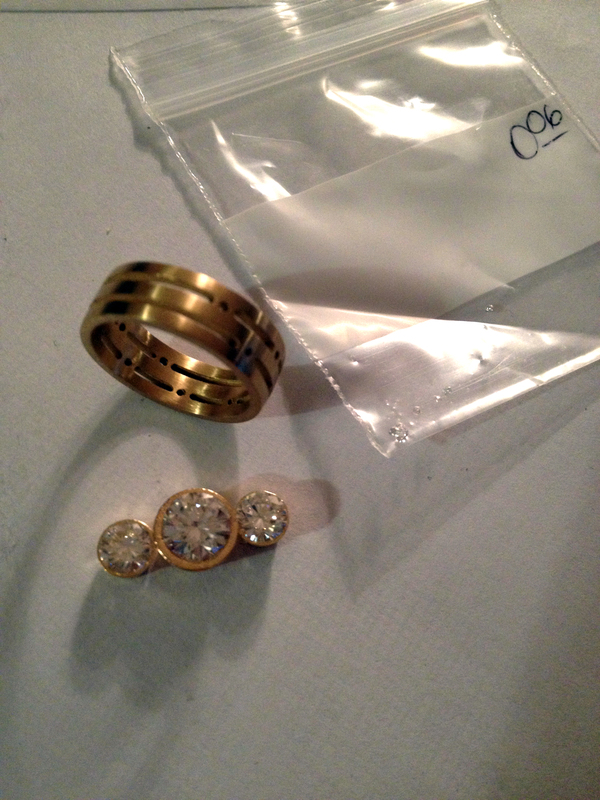 Here are few pieces from the recent Classical & Modern Ring class. Want to learn? 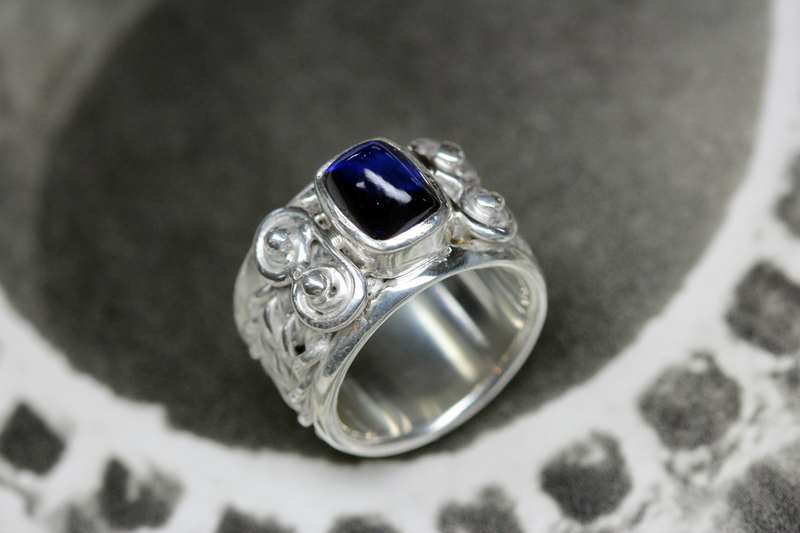 Join us for our Gemstone Setting Class! 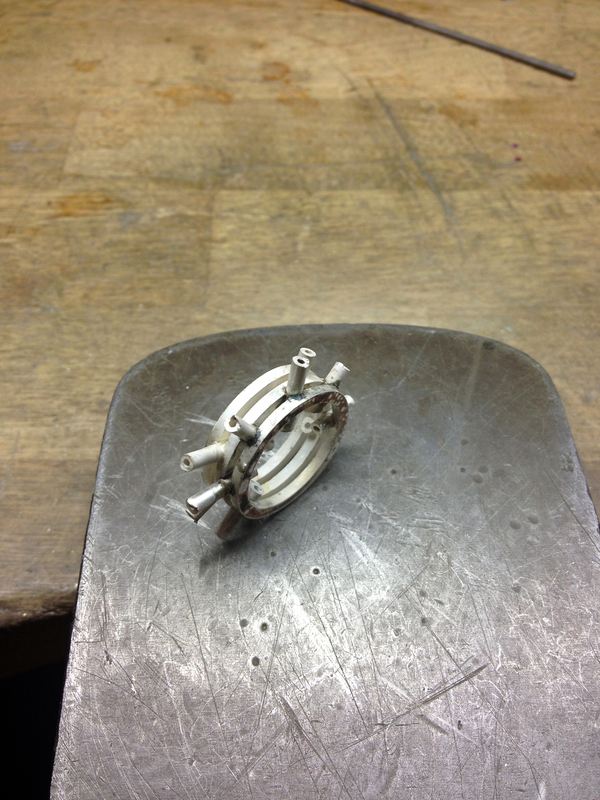 This entry was posted in Jewelry Classes & Workshops and tagged classical ring design, education, jewelry, jewelry classes, jewelry design, Liloveve, silversmithing, stone setting, student work on April 11, 2013 by LILOVEVE Studio & Gallery. 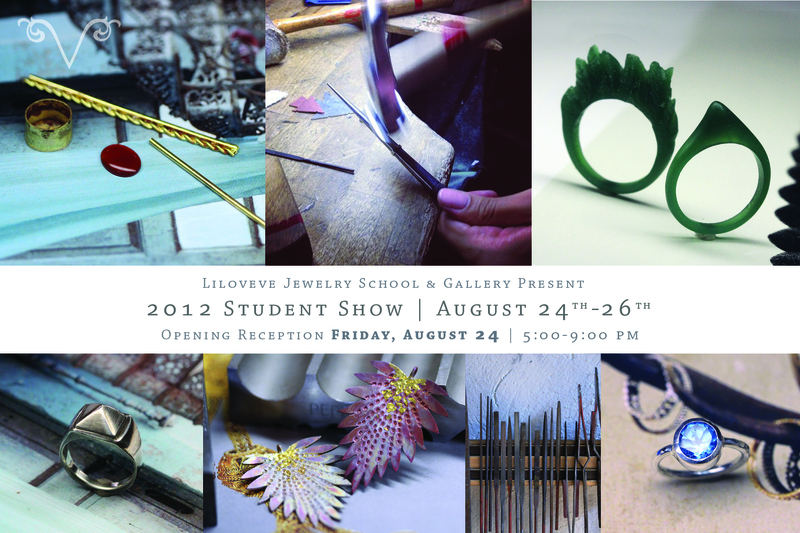 Join us for a glass of champagne for the opening reception to celebrate the amazing jewelry & metal work of our students! This entry was posted in Interesting Events and tagged art show, gallery, gallery show, jewelry design, Liloveve Gallery, open call submission, student work on August 21, 2012 by LILOVEVE Studio & Gallery.